YOUR DREAM HOME AWAITS YOU! A MUST SEE BEAUTIFUL POOL HOME! Everything your heart could desire and then some! Enjoy this wonderful home full of extra special amenities such as a huge beautiful custom saltwater pool complete with beach entry, Baja step with umbrella stand, wall benches, jump rock, and soothing rock-like waterfall. Pump, timer, and all pool accessories included. Full property Sprinkler system, all on separate timers, including the garden area. 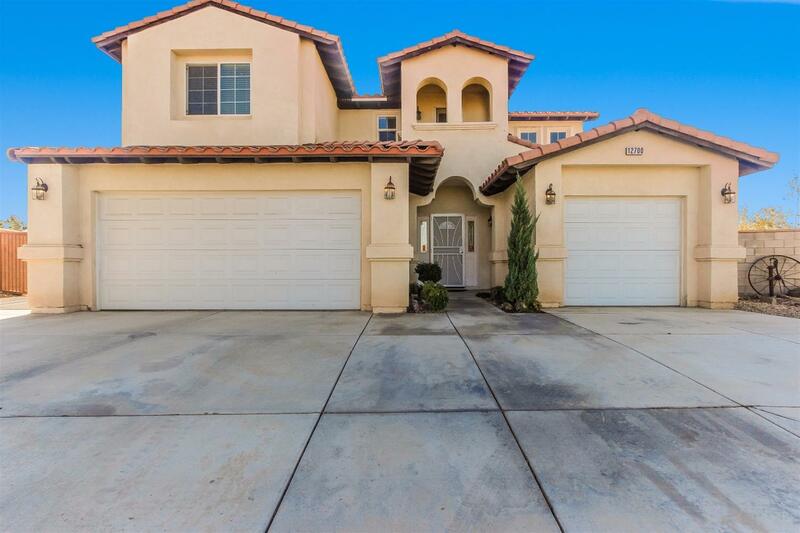 Extra-large patio cover, professional landscaping, separate pool fencing, pet access door, incredible view including sunsets, all securely surrounded by block walls with custom wrought iron, double vehicle gates, that lead to RV and additional side of home parking. Inside: New paint, upgraded maple cabinets and slab granite counters, custom ceiling fans, additional outlets throughout(including plant ledge), double runs of Cat-5 and coaxial cabling throughout, surround sound speaker cabling in family room, huge bedrooms with built in desks and walk-in closets, and a loft area with custom cabinets built for Crafters. And so much more! They are also including the big screen TV in the family room and the refrigerator in the kitchen for your pleasure. This home won't last long, make your offer today!